I see the Kernow FA are kicking off their playing existence with a game on Monday , Feb 25th. It’s against a Foxhole Stars XI (ko 7.30pm) at Poltair Park, St Austell. It’s going to be a joint management set-up for the new team and they are ex-St Austell manager Phil Lafferty and current Bodmin boss Darren Gilbert. Is that official Dave? Nothing from the Kernow FA about Gilbert alongside Phil as of yet? That could be some pairing indeed. Great respect for both Laffs and Gilbert when it comes to knowing how the game should be played and judging good players. Hope they get on well together. Are there any implications towards Clubs, players or match officials for their involvement in this event - or would it fall into the same category as other non-FA regulated football, like some commercial 6-a-side organisations? Seems a very odd first opponent to me. I don't know what Foxhole Stars XI are like in terms of standard, but I imagine if the side Phil and Darren are putting together are the best that Cornwall has to offer, then it could be a cricket score. 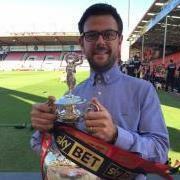 Have spoken to whets and he’s getting a select squad of 18 together to play the fixture. Players have been asked from various clubs in the SWPL. Myself, Carl Rickard, Callum Kenny, mikey davies and Aaron Beresford have been asked to play from st Dennis. I know he has a couple from Newquay, Dan Jennings and Sam gerkin from wadebridge. Hes currently on the phone getting a team together so should be a good game. Always interesting seeing these types of squads being put together. There never seems to be players from the Eastern part of Cornwall involved. It's almost as if anything East of Bodmin doesn't get seen as Cornwall, which is a shame as there are some top players a little closer to the border. Good luck in the game Lee. Interesting. A break from running a league club...or a distraction? Could explain a bit of slide. Ok then, assuming all players are available, who would the folks on here pick for a Cornish born eleven to represent the county? is there a restriction on league? 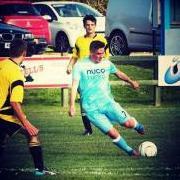 IE are Truro players eligible? Eligible if born in Cornwall! Judging players has nothing to do with, the money in the pocket has everything to do with it. Both Managers have only won leagues when they have had the biggest budget. Their passion cannot be questioned at all and both know the game well but get them to go and manage in the league below with no money and see what success they get and how many so called big name players follow them. You can have pots of money teflon, but, if you don't have the correct blend of player, they won't play well together. Judging players has all to do with it. A few seasons back, Real Madrid had a side full of so called super stars but the blend was wrong. They did not succeed as a side, which, on paper looked unbeatable. In practice it just didn't work out. Seriously 100% . ha ha. Occasional swearing is usually accepted, continually swearing throughout a match, often at officials is what upsets most people, and would be what they would not want to be associated with. Two top men and managers . If it was in players heads not to bother with this having these in charge would make them change their minds . Oh 100% how deluded you must be. Devon would smash all over Cornwall any day of the week, and twice on Sunday. Annear? Nothing on our boy Landricombe. Eddy? Nothing on Rocky Neal. Don't forget we'd also have the likes of Mike Landricombe, Daw brothers, Josh Oak etc etc to call upon, all top quality talent that would, rightfully, put Cornwall right where they should be, as the a*se of Britain. Haha 😂 dream on dreamer! would, rightfully, put Cornwall right where they should be, as the a*se of Britain. Look at the different standard of football between Eddy and Rocky 100% ? Leagues apart. Think elephant may be a bit harsh but obviously a passionate Devonian. Think the Devon team would beat Cornwall 9 times out of 10. Would be good too watch though. Tight git would still con me intoto paying for him to get in. The question is , where would it be played ? Have to be Saltash I would think. It would only involve the Managers picking their mates anyway so would be a waste of time. Any kind of game of game like this (rep games was always the same), the manager either picked their mates or the players of the club they were connected to at the time. Top 3 sides in SWPL are from Devon, plus Western League, plus Southern League I think most of you guys have eaten too many pasties if you think Cornwall would beat Devon. 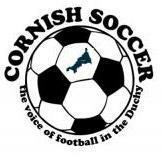 I fear for Cornish football when The FA restructure isolates their clubs even more, although I do realise that some of your contributors are looking forward to it. What a way you have with words Elephant. I'm glad that not everyone in Devon has your attitude. Think we have ourselves a game. Cornish side selected and managed by 100% and the Devon side selected and managed by Elephant. The question to them both is, "Who is in your 18 man squads?" I thought Ryan Barnes was your fave keeper! Nigel Menhenick - adding some experience to the squad! Brilliant Dave ! Get with it 100%Cornish Nigel is older than me !